High quality hand-painted peacock oil painting on canvas provided by Global Artwork. We stand by our top quality and strive to make your favorite paintings as accurately as possible. The edges of every painting are painted and the surface is covered with clear plastic film layer to protect the painting. Every painting is 100% hand painted with oil on canvas. Since it's impossible to paint the exact same painting every time, the artwork you receive may vary slightly in color and texture from the sample photo above. This is what makes our hand painted artwork more valuable than prints. Canvas paintings are wrapped and stretched on durable wooden frame, ready to hang. No additional framing required. Necessary accessories for hanging are packed together with your painting. 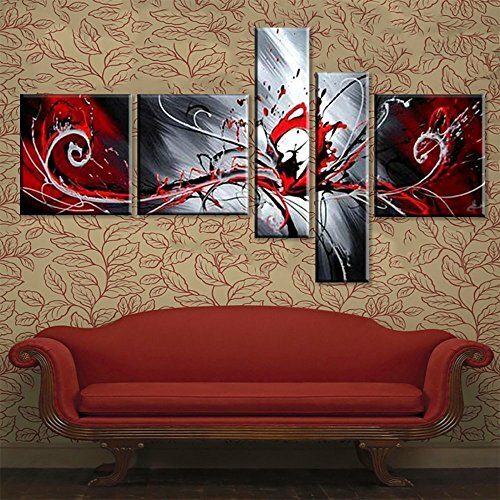 Redefine your living style now with this unique and elegant piece of art created by professional artist from Global Art.